Prince George, B.C. 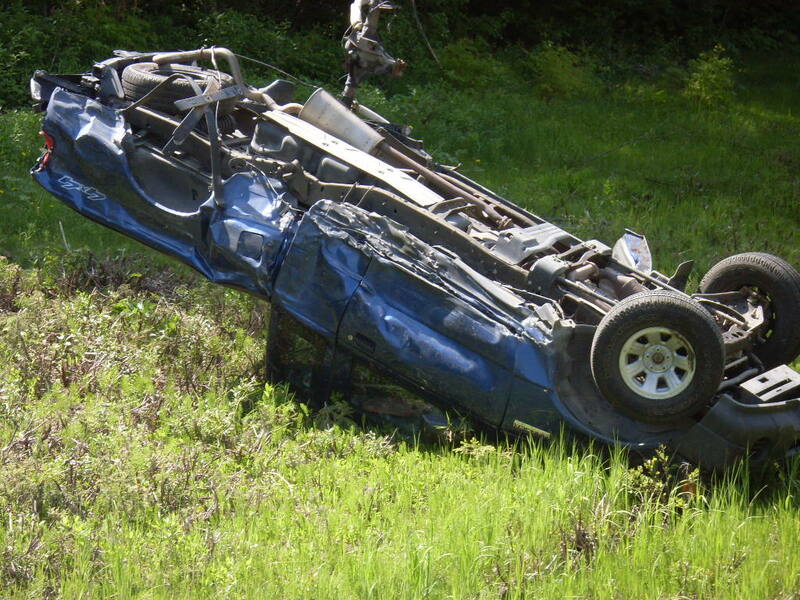 – By all eyewitness accounts a motorist is very fortunate to have escaped serious injury in a rollover accident Saturday afternoon near Ness Lake. At approximately 4:15pm police, ambulance and Fort George Highway Rescue crews were dispatched to a single-vehicle rollover on Ness Lake Road north. Initially it was thought a person was trapped in the vehicle but that was not the case and the Highway Rescue unit was called back to town. Prince George resident Harold Little and two companions were travelling behind the pick-up. He says it appears the woman “wasn’t wearing a seatbelt so she wound up on the roof inside. Cuts and bruises is all she got. The guys in the pick-up saw it all in their rear-view mirror as she went whistling by.” He says police had the road blocked off for a time while they investigated. An ambulance crew tended to the female driver’s minor injuries. It was the second known rollover accident in the Prince George area since the start of the holiday weekend Friday afternoon. Shortly after 5pm Friday a vehicle rolled off Highway 97 south between Bellows Road and the Red Rock Volunteer Fire Hall. As yet police have released no information about that incident.